What do you get when you put one of the world’s best short-game golfers and a legendary golf wedge maker in a room together? 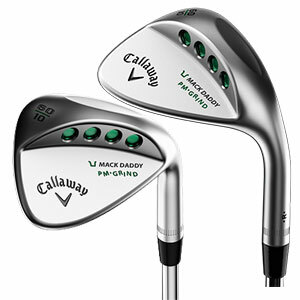 Answer: the Callaway Mack Daddy PM-Grind Wedges. Taking on board direct input from Phil Mickelson, Roger Cleveland (Callaway Golf’s resident wedge-making maestro) has designed one of the most visually pleasing and performance-sound golf wedges we’ve ever seen. The duo worked closely together on a design which would incorporate everything Mickelson loves about playing the short-game without losing any aesthetical brilliance used in the previous Mack Daddy 2. They took a Mack Daddy 2 Wedge and grinded out the high toe shape, added the right materials and had Phil undertake extensive testing while on Tour until the look and performance were exactly where he wanted them to be. 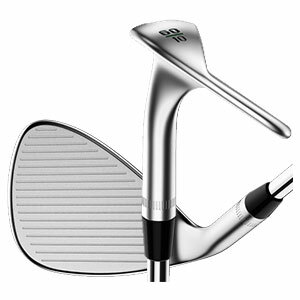 The design allows golfers to accelerate through the ball and go after every shot. It is now possible to get up and down from anywhere – even on flops, bunker shots and out of the thickest rough. A revamp of the design now promotes a unique shape for aggressive wedge shots. Standing out as a completely new look from any wedge which has come before it, the Mack Daddy PM-Grind Wedge has more surface area and 39% more groove area that goes all the way across the face. The high toe moves the weight higher to make it easier to hit shots out of deep rough. Phil Mickelson was eager to explain where the concept for the High Toe came from, saying: “We made this high toe wedge last year. The first time I used it was at the PGA Championship and my short game was phenomenal – it was the best it had been all year. “I think this wedge is going to have the same impact as some of our other successful club launches because Callaway were willing to take a risk and try some new things. “The wedge has an increased surface area on the sole of the club to give players the confidence to accelerate through the ball with more aggressive intent, which is key to playing all the shots around the green that Phil does,” Phil added. Roger Cleveland was asked to lend an insight into the workings of the new club and he offered up this titbit of information for us all to digest: “One of the toughest short game shots is from greenside rough, where the club can easily slide under the ball without making contact. To give him an edge in the majors, when the toughest possible course conditions are expected, Phil wanted to create a club that would counter this,” he explained. “Phil came to us with the idea for the Mack Daddy PM-Grind Wedges and has been passionate about developing the product to his exacting standards throughout the process. After testing every prototype on tour, Phil’s evaluation and feedback has helped ensure the final product offers performance that is demonstrably superior and pleasingly different,” Cleveland added. The Callaway Golf Mack Daddy PM-Grind Wedges are coming soon to American Golf so keep checking back for updates on its hotly-anticipated release.